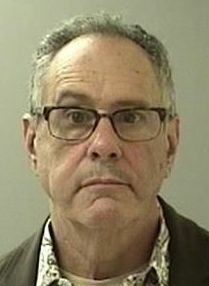 On October 5, 2017, Galloway Township Police arrested Ira Binder, 60 of Egg Harbor Township for stealing funds from a Condo Association in Galloway. According to Police, an investigation revealed that Mr. Binder who was an office manager at The Club at Galloway Condominium Association, overpaid himself a total of approximately $352,620 between Janaury 2010 and February 2017. Galloway Township Detective Kerry Baerman made the arrest. Mr. Binder was charged with Theft and released on a Summons. Anyone with additional information relating to this investigation is asked to contact Detective Kerry Baerman at (609) 652-3705 ext 320 or contact Galloway via anonymous confidential tip through their Facebook page and/or Twitter accounts at @gallowaypd. Galloway Police also receive tips from Atlantic County Crime Stoppers @ (609) 652-1234 or 1-800-658-TIPS.